Mobile student assistant app OOHLALA today introduced a smart calendar feature designed to help users track their activities on and off campus. Students now can access class and work schedules, course assignments and exam schedules, campus events and other activities in one integrated calendar, helping them manage their time more effectively. OOHLALA integrates with an institution's learning management system and student information system and uses machine learning, customizable alerts and self-regulation tools to guide students through the college experience, helping them build effective study habits, keep track of coursework, manage campus activities and access student services. Students can also set daily alarms and navigate to class with GPS technology. 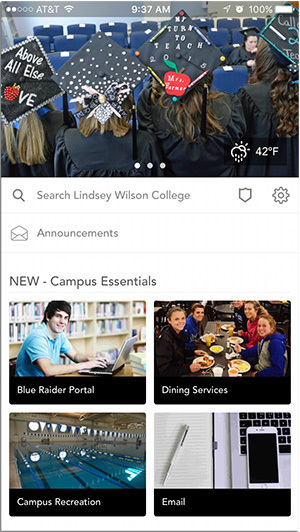 The new calendar feature was designed in collaboration with OOHLALA's university partners, including McGill University and Lindsey Wilson College, where early pilots of the app have shown a positive impact on retention. At Lindsey Wilson, for example, data suggests that the app helped to reduce the number of first-year dropouts by 17 percent. "Since introducing OOHLALA on campus, we have seen an immediate uptick in our first-year semester-over-semester retention rate," said Chris Schmidt, dean of Lindsey Wilson College, in a statement. "By providing a one-stop platform for academics and campus life, OOHLALA helps incoming students make an easier transition into college and stay engaged, which we know is critical to their future success." For more information, visit the OOHLALA site.